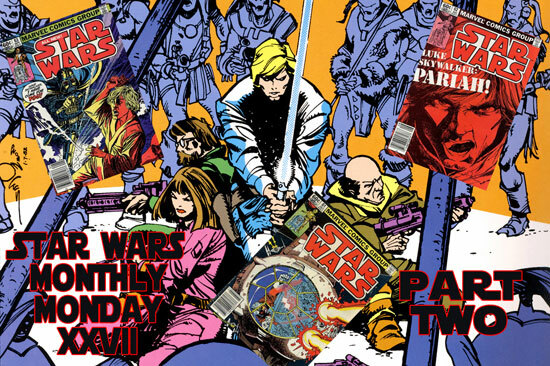 I love me some old Marvel Star Wars comics! Of the 107 issues, I firmly believe the Shira Brie saga spanning issues 60 through 63 were some of the best of the series! Scott and Chris of Two True Freaks were kind enough to invite me onto their podcast recently to discuss this fantastic storyline! Scott and I are so passionate about this story, they had to break the episode into two parts because we talked so much! What’s not to love about these comics?!?! David Michelinie’s plots and scripts, Walt Simonson’s plots and pencils, with Tom Palmer’s inks. If you know your Star Wars Expanded Universe lore, then you understand the importance of this storyline. Pure awesome! My thanks to Scott and Chris for letting me appear on their show to discuss this phenomenal storyline! Be sure to check out Two True Freaks!